Daytona Beach Personal Injury Lawyers or Attorneys | Graham Law Group, LLC. Victims of personal injury in Daytona Beach, Florida face a range of challenges. Not only might you and your family be struggling to recover from your injury, but you may be struggling financially if insurers won’t cover your accident or if negligent parties won’t pay for your damages. Insurance adjusters sometimes might use formulas or computer programs to estimate the value of your claim. These formulas sometimes don’t always represent your actual damages. This is where an injury lawyer like the Graham Law Group, LLC in Daytona Beach, Florida can help. Our injury lawyers can speak to insurance adjusters, hold negligent parties accountable for your injury, and help you seek the recovery you may deserve under the law. If you or a loved one has been hurt in Daytona Beach, Florida, reach out to the Graham Law Group, LLC today. 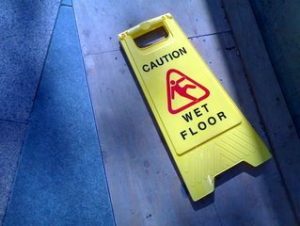 Slip and fall injuries can be devastating. They can lead to traumatic brain injury, broken hips, broken bones, and even paralysis. If you or a loved one suffered a slip and fall injury, reach out to the injury law firm at the Graham Law Group, LLC today. If your loved one has suffered nursing home abuse and neglect, you may only have a limited amount of time to make a personal injury claim or wrongful death claim. Nursing home abuse refers to intentional abuse or violence directed at nursing home residents. This can include emotional abuse, sexual violence, and physical abuse. Nursing home neglect occurs when nursing home staff are overwhelmed, poorly trained, or ill-equipped to care for nursing home residents. There are many signs that a loved one could be suffering from nursing home neglect. If your loved one is ignored for long periods of time, your loved one might be suffering from emotional neglect. If your loved one isn’t regularly bathed or cared for, or if his or her basic needs aren’t being met, this can also be considered neglect. Your loved one should be fed and bathed regularly. If staff are overwhelmed, then your loved one’s nursing home may need to hire more staff members. Nursing homes also have a requirement to meet the basic medical needs of your loved one. A nursing home should be able to prevent bed sores, ensure that your loved one receives the medication he or she needs, and ensures that your loved one sees the doctor as needed. If your loved one has been injured or died due to nursing home abuse or neglect, consider reaching out to the injury law firm at the Graham Law Group, LLC. Our firm may be able to help you and your family seek damages for your loved one’s medical expenses, lost wages, and pain and suffering damages. Visit our injury lawyers in Daytona Beach, Florida today. When it comes to making nursing home neglect claims, time is of the essence. According to the National Highway Traffic Safety Administration, an estimated 37 million cars are under recall for defective airbags. These airbags can explode when they are deployed. Manufacturers are required to replace these airbags free of charge, but many car owners are not aware that their vehicles are subject to a recall. Car recalls are not the only way individuals can suffer injuries due to defective products. Every year, the Consumer Product Safety Commission recalls many products marketed to children because of potential hazards. While companies and stores are required to inform consumers, not all consumers might receive notice of the recall. If you or a loved one was injured due to using a defective product, consider speaking to the injury lawyers at the Graham Law Group, LLC. We may be able to help you seek damages for your medical bills, lost wages, and pain and suffering. If another person, party, or product resulted in your injury, you may have many questions. You may be wondering what your claim might be worth and what your next steps should be. A variety of factors will determine the value of your personal injury claim. A qualified injury lawyer in Daytona Beach, Florida like the attorneys at the Graham Law Group, LLC may be able to help. You might be wondering how you can make a claim or seek a recovery under the law. 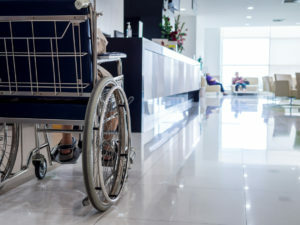 If you or a loved one was hurt due to a slip and fall, nursing home abuse or neglect, or due to a defective product, the Graham Law Group, LLC is an injury law firm in Daytona Beach, Florida who may be able to help you. Our firm can review the circumstances of your injury and fight to help you get the recovery you may deserve under the law.